Players of Pokemon Sun and Moon have an opportunity to get an Ash's Pikachu via a special Wi-fi event. This exclusive Pikachu will be wearing a hat that showcases the region and era it's from. There are a total of six different hats, but players can only grab one of the six per copy of the game they own. Which hat the Pikachu is sporting will be determined by when the code is redeemed. You can check out the six hats, their dates, and the code to redeem below. 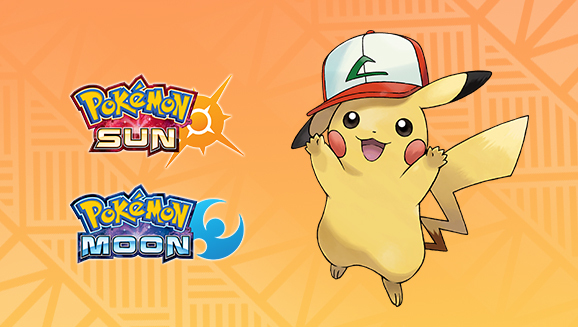 To redeem the code PIKACHU20, navigate to the home screen of either Pokemon Sun or Moon. Choose "Mystery Gift", "Receive Gift", and "Get With Code/Password". Let us know which cap you chose in the comments! Stay tuned for news on more events and the upcoming Pokemon Ultra Sun and Ultra Moon.